I am up to 114 games myself interested to see other collections to give me a memory jog on what I may be missing. I uploaded my collection here. I just hit 350 (across all consoles, not just Switch). 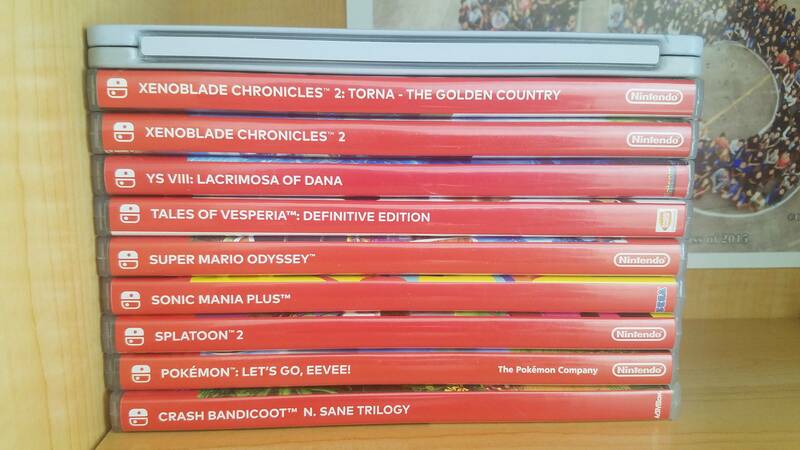 The steelbook case is another copy of Xenoblade Chronicles 2. For some reason that GIF doesn't work if you click on it, you have to copy paste it to the address bar. That's weird as hell. 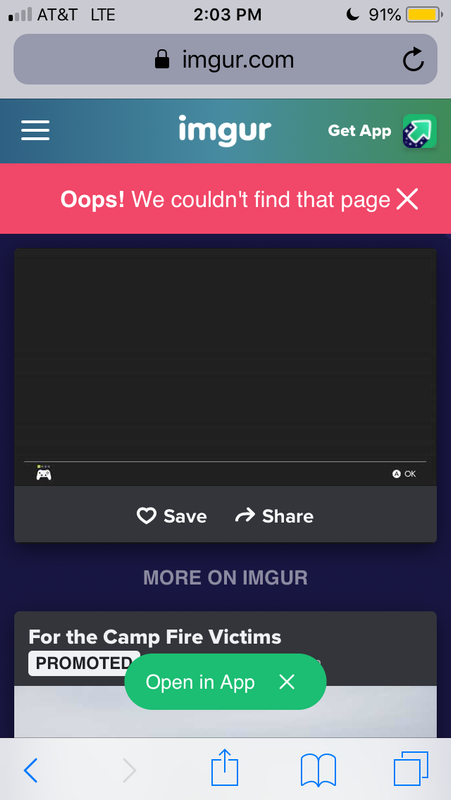 @EvilLucario I think your imgur link is broken. I don’t have enough time to take screenshots, but I have my Switch catalogue in the games section of my profile. It’s very measly compared to others that have already posted. Holy goats gotta uplpad mine as well. @GyroZeppeli For some reason, directly clicking on it doesn't work because NL for some reason blocks it. Like I said, you'll need to just copy-paste it into the address bar. Use postimage to upload pictures here. @Anti-Matter I did, that was a screenshot of the link @EvilLucario posted. It didn’t work. Although maybe ShareX can still upload to Puush? I'll have to check that out. @EvilLucario It just worked, it might have been my phone or something. @EvilLucario I use lensdump. Works fine for me. What app would you recommend for this? I see you guys use different apps. I just have an excel file but I'd like to have it more visually, and the collection feature here in Nintendo Life lacks a lot of games or you just can't specify if you have it digital or physical, which is a feature I'd like the chosen app to have. Then I'll do it and post my collection. I gotta say I currently have 125 games on Switch (digital or physical), but overall it's near 900. That's counting legal only, of course. I don't count the dozens of games I have on my first system, an MSX, in which all I had was copied unfortunately. I think I'll go with GameFAQs, because it lets me do what I wanted: physical and digital apart. I'll post it when I finish it.